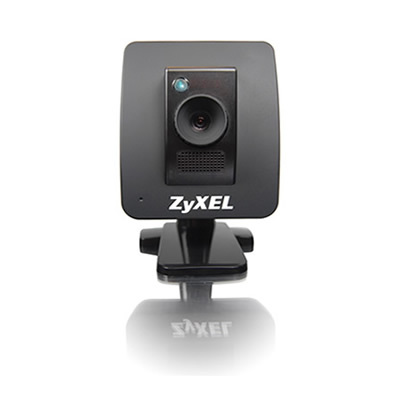 ZyXEL announced the retail availability of the two latest members in its IP camera lineup today. With 'cloud' being all the craze it is right now, the units carry enough features to warrant them being described as 'cloud-enabled'. The video from these cameras can be viewed on any device anywhere with a connection to the Internet. The two new cameras, IP3605N and IP4605N come with street prices of $99 and $185 respectively. The latter is a PTZ (Pan-Tilt-Zoom) model. Purely from the construction of the hardware, the IP3605N appears to be a rebrand of the Compro IP70 that we reviewed last July and the IP4605N appears to be a rebrand of the Compro IP540 that we reviewed in October 2010. However, the backend and the firmware appear to be different. While the Compro units came in with support for a cloud backend through Seedonk's services, ZyXEL seems to have its own custom services in iSecurityPlus. This service also provides online recording and notifications with a $5.99 monthly subscription service. Live viewing and other basic features are free similar to the Dropcam model. The camera models are also substantially cheaper than purchasing them directly from Compro Technologies. The cameras' Compro roots were revealed in the technical specifications of the product which include the ComproView software to manage multiple feeds simultaneously. 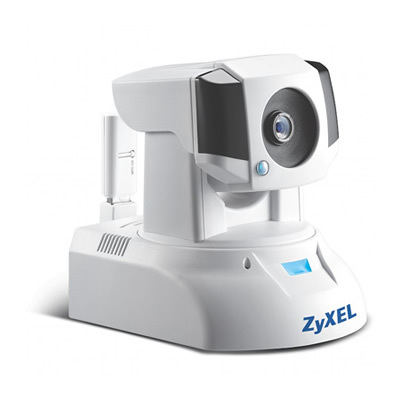 That said, it will be interesting to see how the firmware features of the ZyXEL and the Compro models compare with each other, and whether the difference in price is a result of some firmware features which are lacking in the ZyXEL units. For full technical details of the products, the Technical Specs tabs of the IP3605N and IP4605N on this page can be perused. ZyXEL's press release can be found here.